Eight years before he built Colonial Country Club, John Bredemus came to Fort Worth to build Meadowbrook Municipal Golf Course. The city bought the facility years later and brought Ralph Plummer in for renovations in 1962, when the creation of dams formed five new lakes and improved the irrigation system. No. 5 should probably be a par 5 for most hackers -- it plays 475 yards with water on the left of the dogleg, trees are on the right, and the approach must carry a creek. Don't worry about a bogey on this one. The 16th is another long par 4 that features an approach over water to the green. The two best birdie opportunities are nos. 7 and 14, both short par 4s that should leave you with only a short iron into the green. Excellent classic layout. This course will make you use every club and shot in your bag. The course is rolling hills, blind shots, and requires accuracy and is unforgiving. Every hole has water on it except #18 and fairways are tight with many tall oaks lining the fairways and the rough is definitely rough. 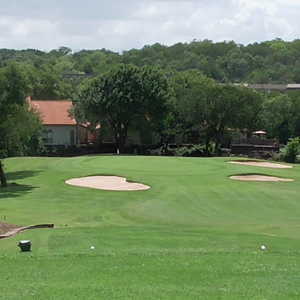 A most challenging layout for any golfer and fun to play.The course is generally in good condition and the staff are very accommodating and helpful. Condition is usually good for a muni. The greens are usually in good shape and the fairways are average. 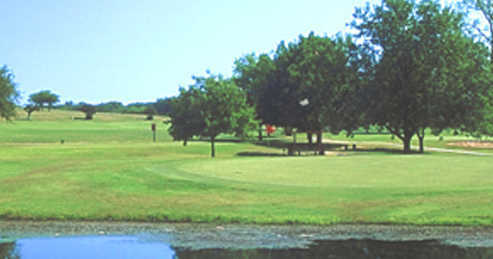 The course is pretty challenging in that it forces you to use a variety of clubs and shots. Not overly difficult but a good test for amatuer golfers. Be very careful of the par 4 fifth hole. this hole requires a precise tee shot, with danger onboth sides of the fairway.